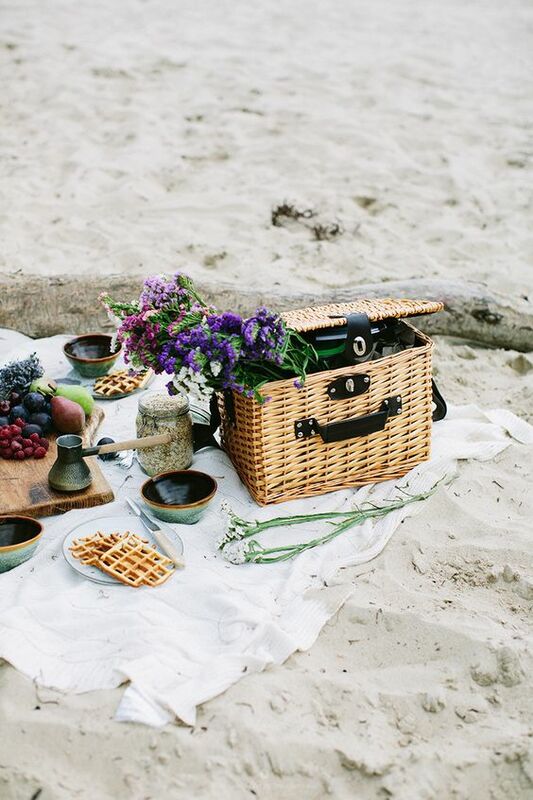 Let’s hit the sand and have a fabulous beach picnic! 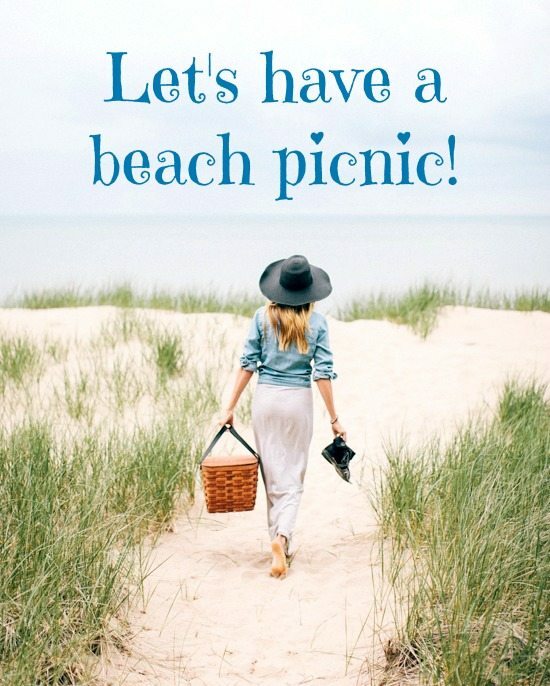 Pack a Picnic Basket with some yummy bites and a bottle of Wine, and grab a Blanket. 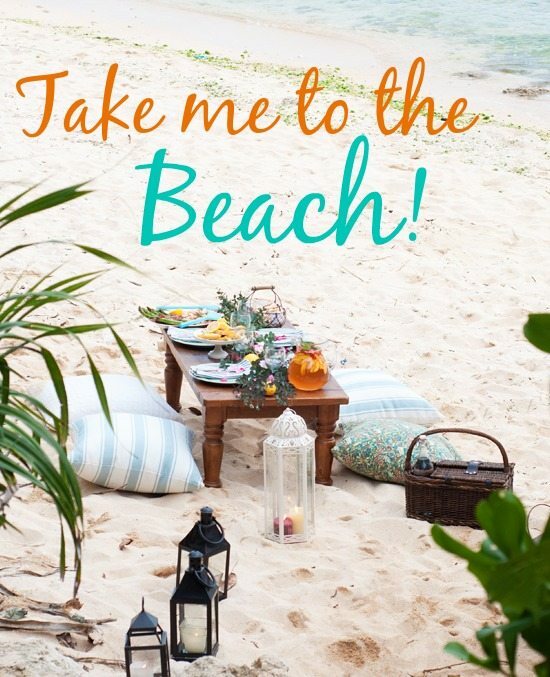 It’s on my beach bucket list! 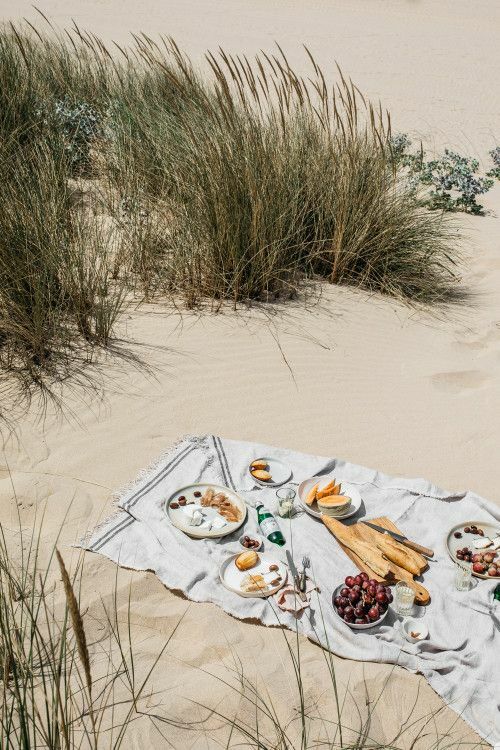 Are you ready to pack your picnic basket (Neutral or White)? 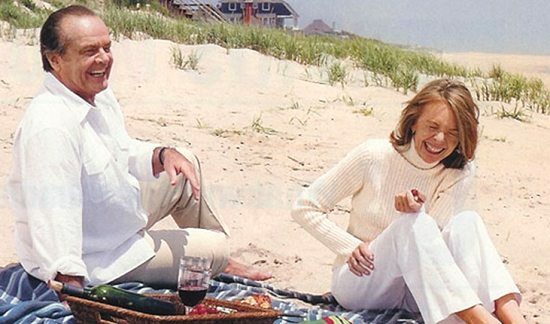 Picture via A Quiet Life. A delicious snack – and some added color! 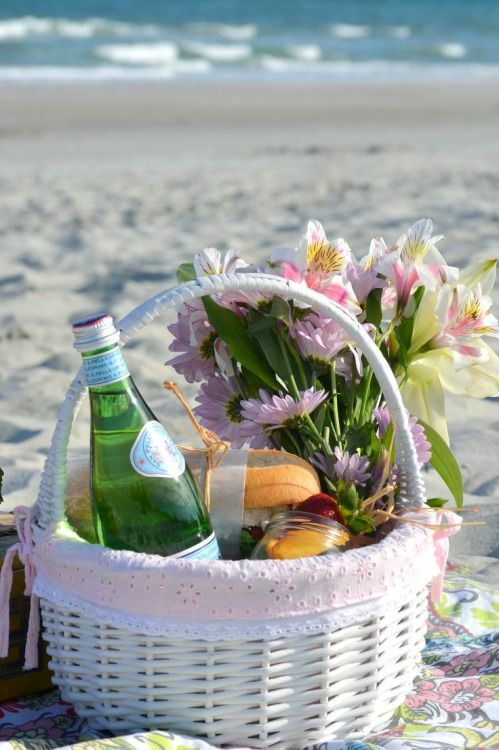 Some beautiful flowers in a fantastic picnic basket almost serve as a centerpiece on your blanket. 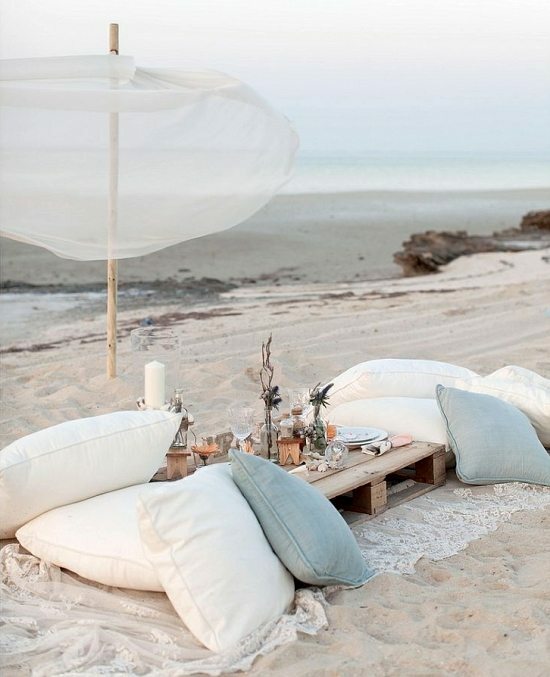 Everybody grab a pillow! 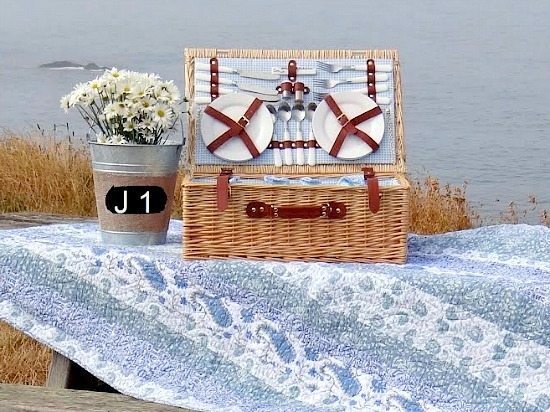 A great low table, matching tableware – and assorted seats! 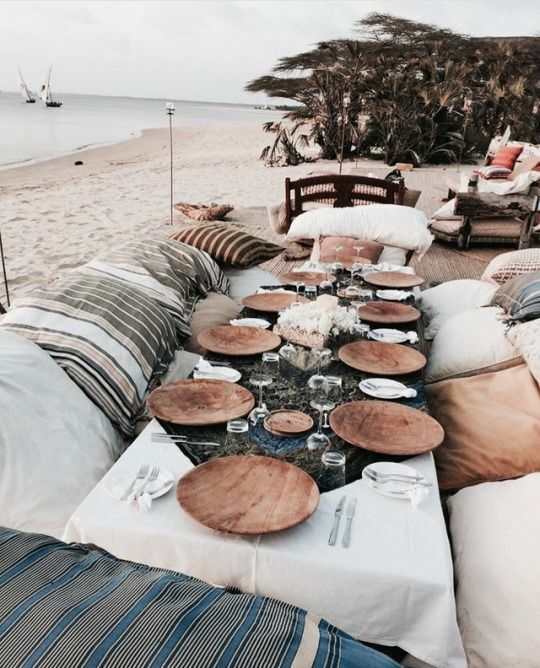 A fantastic get-together all ready for a meal on the sand. 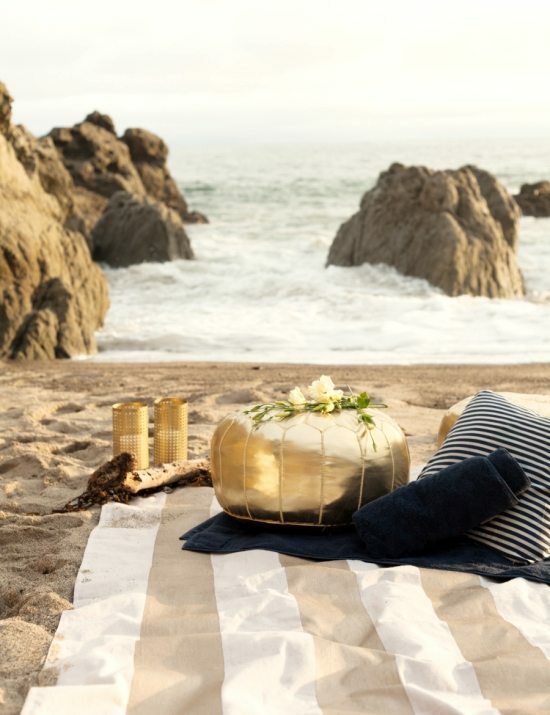 Sea grass provides a sense of isolation and shelter. 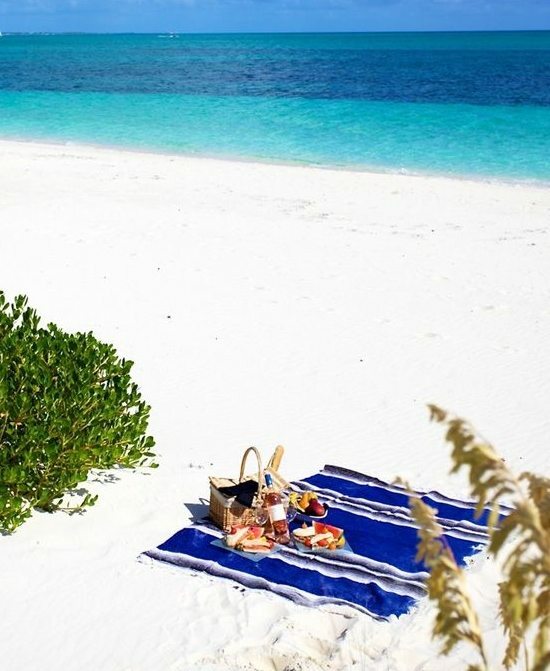 It makes this a great place to set up your picnic blanket and dig into some fruit and cheese! Nature will provide! 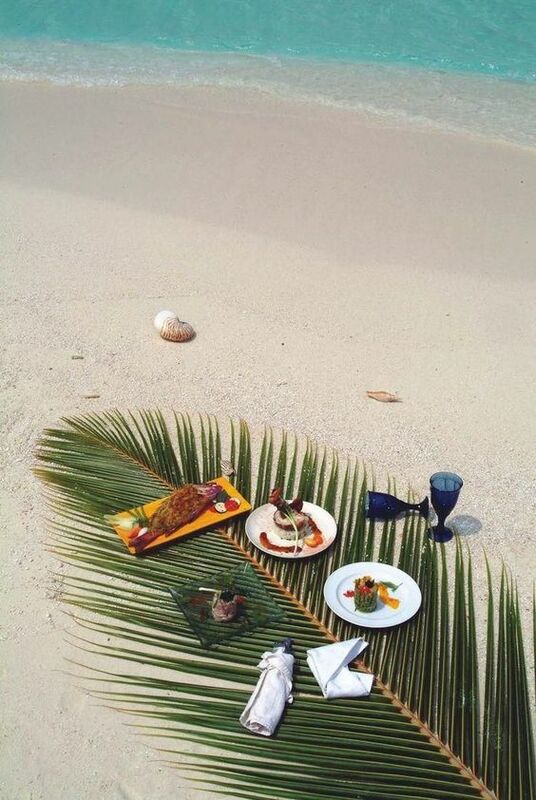 Why bring a blanket when a palm branch can serve just as well – and give you a totally unique style! 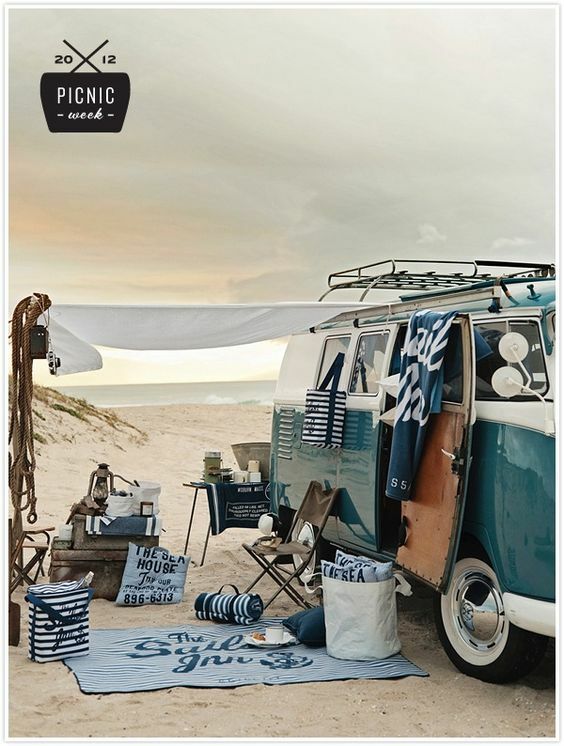 Few vehicles go better with the beach spirit than a classic VW bus! 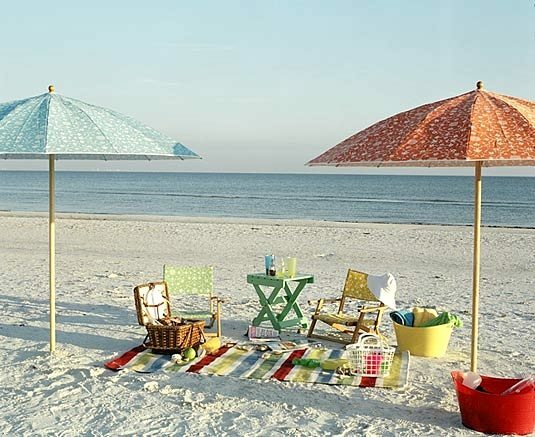 Just open the door and pop everything out for a great time – and a bit of shade! 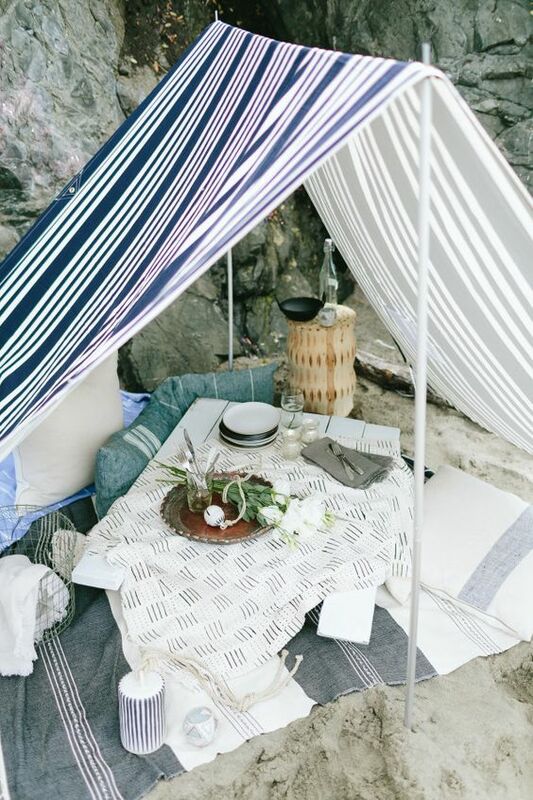 A simple tent protects you from the sun – and the striped theme runs through all the linens! 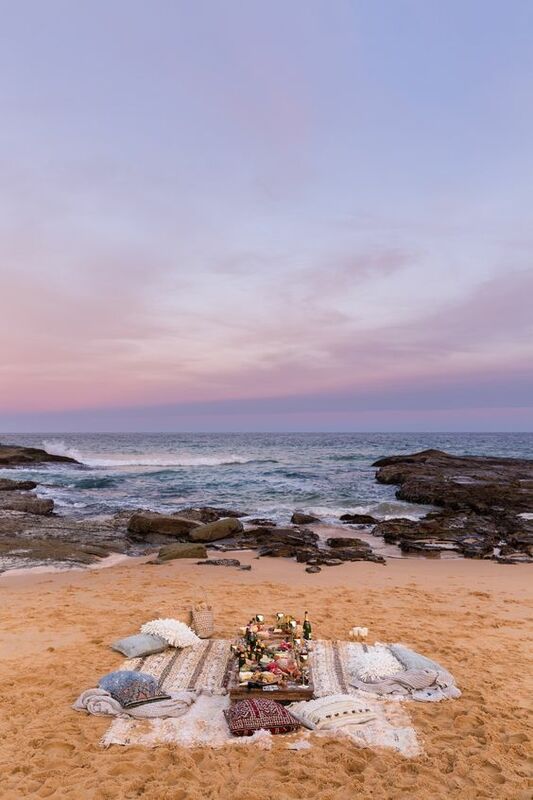 Along the Australian coast, a great picnic with a full meal, all ready for special friends. 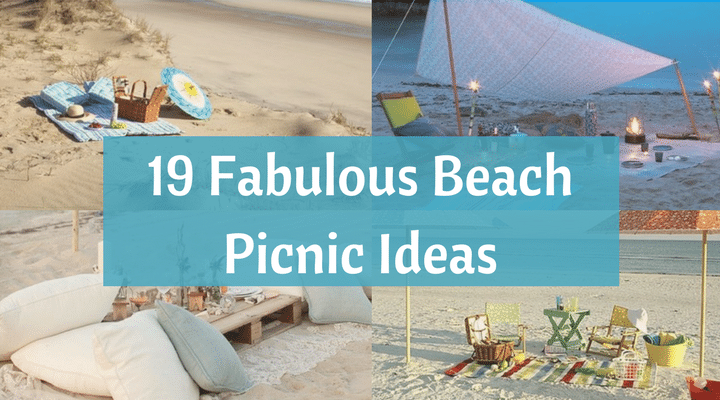 These are all beautiful beach picnic ideas. Some simple, others more elaborate. 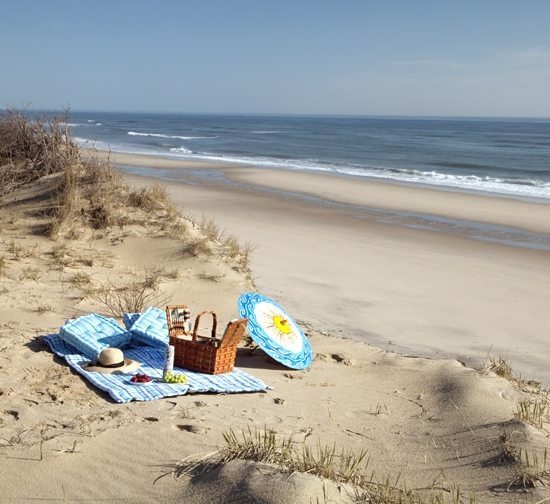 Late afternoon, early evening would be my perfect time for a beach picnic…, enjoying the lap of the surf, and the sun slowly setting. 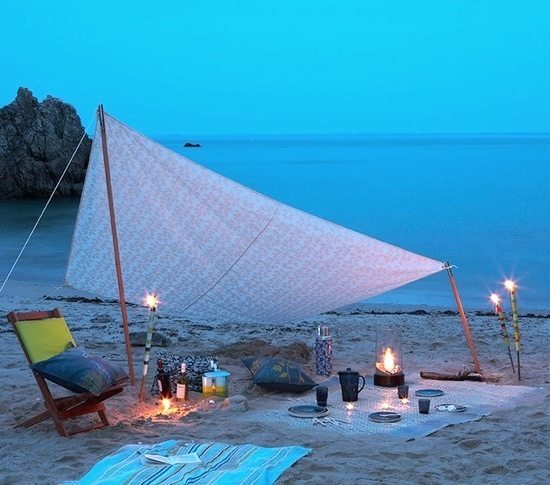 If you want to make it a whole day you might want to bring a sun umbrella or construct a roof. 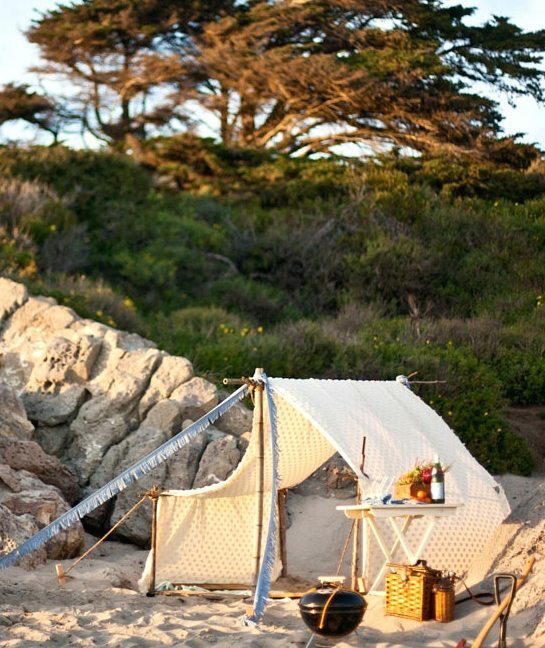 I adore the tent like setups. They are so romantic.